It took over an hour for the Football Association of Zambia (FAZ) President-Elect Andrew Kamanga to move from the audience at Moba Hotel to the front of the conference room, a short distance of about 60 meters. Overjoyed councilors who had fought for eight years to unseat the 1988 African Footballer of Year at the helm of FAZ, could not believe it when the returning officer Sukwana Lukangaba declared Kamanga the winner at around 02:00hrs on Sunday morning. This victory was not an easy one considering that Kalusha was in command of the secretariat and had good will from various clubs countrywide plus his international image and connections. But what does this regime change at Football House teach the football fraternity? For six months, a number of Kalu fans ran a sustained smear campaign on social media that portrayed Kamanga as an inexperienced football administrator who was not fit to lead Zambian football. This campaign was led by well known journalists who bombarded Facebook with daily propaganda messages against Kamanga and rarely posted campaign messages for their candidate. The campaign’s aim was to ensure that Kamanga is hated by councilors and they end up denying him votes at the annual general meeting. However, this campaign backfired as most people who were commenting on these journalists’ statuses were yearning for change at Football House. 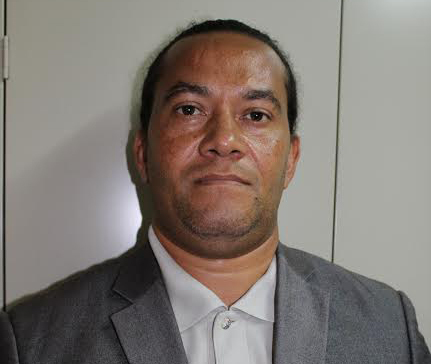 Kalusha was so hero worshipped that these journalists had details of every move he made: jumping on a plane, sitting down at the FIFA headquarters, reporting for work at Football House, shaking hands with influential people, and receiving guests, etc. Kalu had led FAZ as President for eight years and prior to that, he served as Vice President for four years. His record at FAZ (wining Africa Cup in 2012) plus his exploits as Chipolopolo striker, captain and coach was enough for these online supporters to have used to sell their candidate but they decided to use the wrong strategy of attacking the opponent. Our friends lost it because they put hero worshiping first instead of selling a good product in the name of Kalusha Bwalya. Simply put, Kalu would have whitewashed Kamanga if his campaign team had the right strategy and the right message. The strategists in the Kalu camp missed the point by heavily campaigning online. They put up a spirited campaign on Facebook forgetting that the people with the power to vote where mostly offline. Take for example my home team Mumbwa Medics Football Club. As far as I know, not all its executive members are online and there is less than 20% chance of reaching them by campaigning on Facebook. Kamanga had little presence on social media and he devoted most of his time and energies meeting the clubs and selling his message to the clubs physically. He also ran an advert at the back of newspapers for a long time, a strategy I think which sold him to the football family especially with his call for transparency and accountability. Four years ago when Kamanga challenged Kalu and lost, there was a lot of confusion and violence during the FAZ Annual General Meeting. 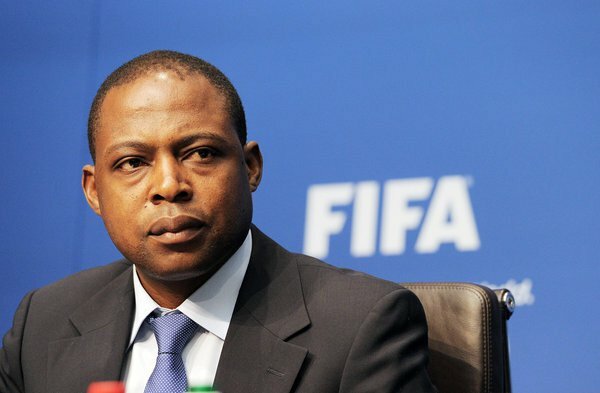 Councilors were not ready to change the FAZ leadership that’s why they resisted change physically to ensure that our football icon Kalusha Bwalya remains at the helm of football in the country. However, with so many issues surrounding the running of the game, councilors resolved to kick out their boss and ensured he ran away from Moba Hotel before final results were announced. A few days ago, we were told that over 1,000 Police officers had been mobilised to maintain law and order at Moba Hotel following reports that Jerabos had been mobilised to cause confusion. However, this was not the case when the over 350 Councillors converged at the AGM on saturday. The 2016 FAZ AGM was the most peaceful as councilors mingled, voted and later celebrated or got disappointed without a fight. The outgoing FAZ Secretariat (Am sure Kamanga will choose his own staff), picked a wrong fight with the media. Journalists seen to be critical were barred from certain events and games in the name of not having accreditation. 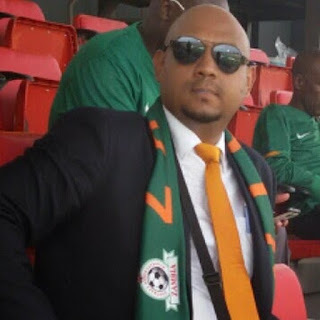 At one game at Levy Mwanawasa Stadium in Ndola, MUVI TV sports reporter Mike Mubanga was flushed out by a well known FAZ official for allegedly being critical of Football House. Last night when votes were being counted, Mike was again flushed out of Moba Hotel by eight heavily armed Police officers at the instruction of a FAZ official. And when the results were announced that Kamanga had won, Mike rushed to Moba Hotel to confront the official by which time he had already disappeared. “You Police officers, you kicked me out because FAZ ordered you to do so. Now am ordering you to look for that man and kick him out of Moba Hotel because he is now out of employment,” said Mike as he ran around the hotel looking for FAZ officials. Several respected radio football analysts like Leonard Chibasa, Aarin Phiri, Patrick Tembo and several other friends of the beautiful game were denied accreditation to the AGM on account of not being ‘in good books’ with FAZ. These are mistakes which the Kalu camp made and they should learn from them if they are to make a come back in 2020. Kamanga can go for a honeymoon for a short period of time and quickly get back to work because Zambians are impatient and they love football. The football family has a lot of expectations from the business magnate. Councilors who effected this regime change want to see real change at Football House. Starting from football deals, team selection and the association’s image, Kamanga needs to make sure he works hard and ensures all his campaign promises are implemented. He promised to overhaul the way Division One operates and we expected nothing less than that. If Kamanga is going to appoint his own FAZ Secretariat, we expect him to appoint capable people who will work for football and not for Kamanga. If those appointees will also start hero worshiping and praising Kamanga where they go, then the repeat of Moba Hotel will not be long. Otherwise, congratulations Mr Kamanga and and congratulations also to Chingola businessman, former Nchanga Member of Parliament and Mines Deputy Minister Richard Kazala who was elected FAZ Vice President. We expect nothing but transparency, accountability and success for our beloved Chipolopolo in your four years in office. The country was on Saturday in shock when social media was inundated with videos and pictures of a female Police officer who was ran over by a minibus at Mashlands area in Lusaka along the Great East Road. Pictures and videos of the injured officer went viral, as Zambians either blamed the Police for their numerous road blocks or blamed the unlicenced minibus driver for hitting the officer. Some bloggers complained and said unpalatables to a 'good samaritan' who offered his canter to transport the injured Police officer in the vehicle's trailer to the hospital while others lashed out at those who took the images. The young lady, Constable Marjory Moyo, was part of a group of traffic officers who regularly mount a checkpoint at Marshlands but on the fateful day, luck was not on her side. "The minibus driver identified as Steven Phiri was stopped and found wanting, he had no licence and no road tax. He was asked to park but he decided to drive on. He hit our officer and ran over her. He sped off but other motorists blocked him and we arrested him," said Zambia Police Acting Spokesperson Esther Katongo. At first, the injured officer was taken to the Intensive Care Unit due to her condition but a day later she was taken to an ordinary ward at the Levy Mwanawasa General Hospital. She underwent surgery and is currently in a stable condition but still under the watchful eye of doctors at the Chainama-based health institution. Inspector General of Police Kakoma Kanganja, who visited the officer on Sunday, disclosed that the suspect had been charged with attempted murder. 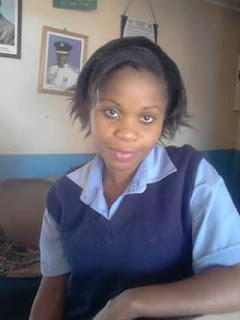 Constable Moyo's case has raised alot of questions about Police checkpoints and why they are mounted indiscriminately. However, several high profile people have visited her but the media has been kept abay. This author has taken the initiative to launch the #PromoteTheWomanConstable social media campaign to attract the attention of the Police High Command in order for Constable Moyo to be promoted for her dedication to service. This hashtag campaign is running on Facebook and Twitter and so far it has raised alot of interest from people online. In other countries, Police officers or soldiers who are either kidnapped or injured while on national duty are considered heroes and honored, but why not in our country? Constable Moyo deserves to be honored because she was trying to clean the roads of unlicenced drivers and unfit vehicles which are both a danger to the public. These excited drivers cause dozens of accidents in the country which claim lives and leave people injured. It is officers like Constable Moyo who are in the forefront fighting to save our lives and spare us from the road carnage caused by these untrained drivers. Therefore, The Inspector General of Police must #PromoteTheWomanConstable.